Previous What is VPN & How To Use It ? NordVPN – Best Premium VPN!! Asphalt 8 is the Famous Game which you might have seen us using it for checking the gaming performance of a device because of its gameplay and High Graphics. Now we have the Latest Asphalt 9 Legends available but its restricted for users in Philippines only ( UPDATE: Works With France, Thailand & Vietnam Now) . And Today in this video we will show you how to install the Game on your Android device if you are can’t wait and wants to play this game right now! Download APK Pure App – Click Here!! 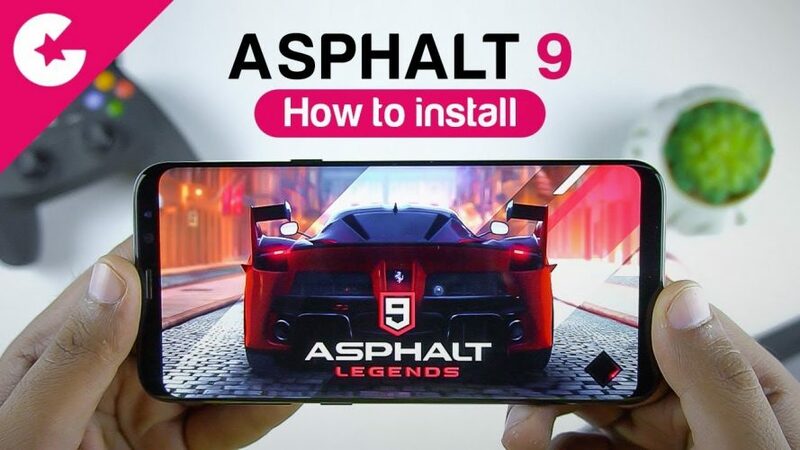 Search for Asphalt 9 and Start Download. It will take sometime due to the slow APK Pure Server. Once Download is complete install the Game but don’t run it. It will not work as it will give you licence error. To remove the licence error, Download Lucky Patcher from Here. Google Protect will warn you that its not a safe app but you know what to do. Once you are in the app. Look For Asphalt 9 and select it. Select the Option Menu Of Patches and than select Create Modified APK File. And after that select APK without License Verification. Leave it on AUTO MODE and hit Rebuild the App. Now Uninstall the A9 from your phone. Once Install the Last step to Use any FREE VPN App. Now the Game works with not only Philippines Server but with France, Thailand and Vietnam. So you can download any of these Free VPN Apps Such As VPN Melon, Super VPN, Bestline VPN, Secure VPN and Select France. I have tried with Free BestLine VPN and Paid Nord VPN And the Game runs without any problem. If you have any question or issues, let us know by leaving your comment below or on YouTube Video. Disclaimer: The Above steps involve downloading an APK from a third-party site. Please proceed with caution and only if you understand the risks involved. ******* OLD METHOD***** Please follow the Updated method Above! Download Mega App from Play store http://bit.ly/2KTsW8V And Create an Account. Once Done Go to the Link http://bit.ly/2xawgdI to Download the Asphalt 9 ZIP File. It will open the Mega app and start Downloading the ZIP File. Install the APK File but don’t Run the Game Yet! Game is installed but it will say that its not available in your Area for that We need to Use VPN App which has the option to Connect to a Philippines Server. We will use Express VPN, its a paid service but you have the option to signup for a 7 Days Trial. You won’t be able to signup again for the Trial on the same device for that you can use any App Cloner and clone the app. Once installed Use any other email address to signup for the Trial. Connect to the Philippines Server And ENJOY the Game!! Watch the Video For More details!! If you like Video and Don’t Forget to 🔔 Subscribe to our YouTube Channel & Stay tuned guys for more videos like this. If you have any questions or queries drop them in comments section below.